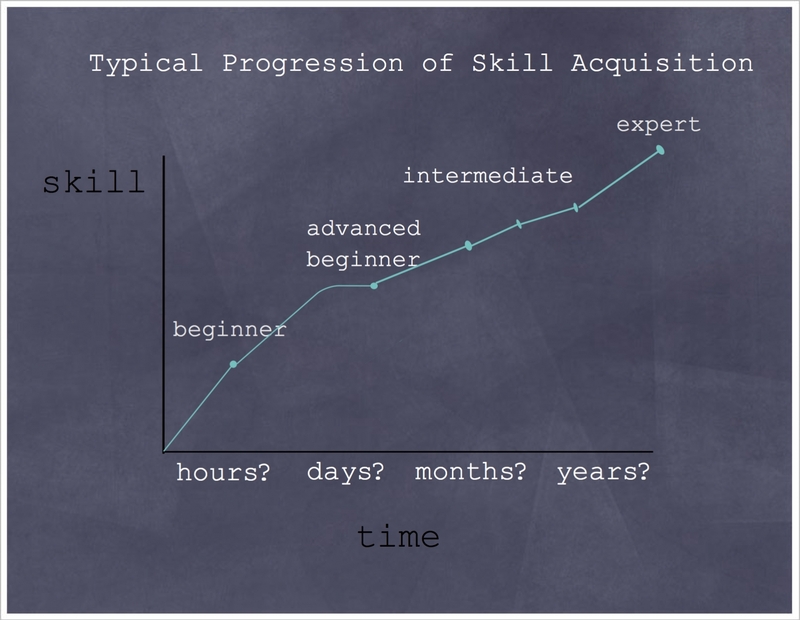 It usually takes a lot of time and effort to acquire and master a new skill. Years even. 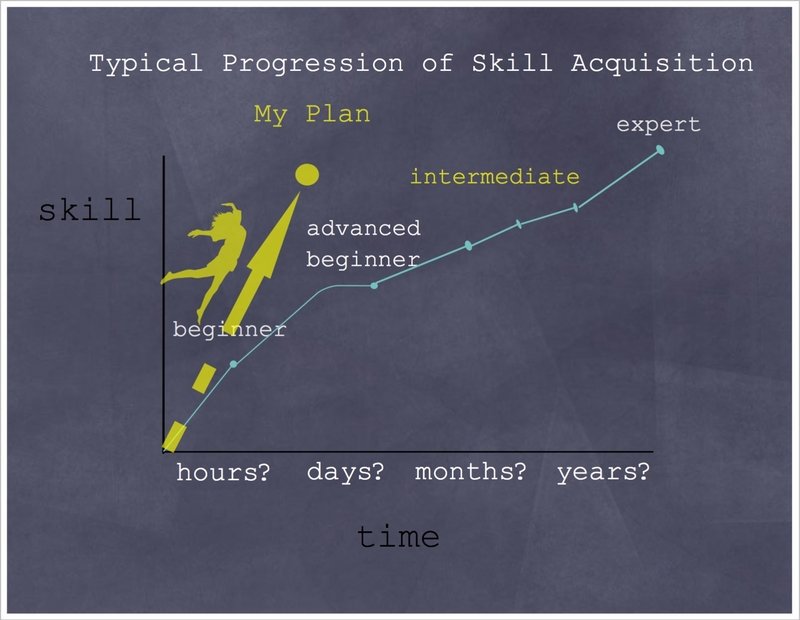 Can this typical linear progression be sped up? note: This post has nothing to do with my un-farm. I’m just writing about stuff I like to do! Ok, and here I am stuck quite firmly in beginner level knitting. Years ago, I bought lots of yarn and knitting tools. My intention was to knit socks for my daughter who was moving to New York for college. First I knit a really ugly scarf. Quite terrible and ugly. It was a from a learn-how-to-knit kit from the drugstore. You have to start somewhere. I remember making a cute water bottle cover that looks like a little cabled sweater and a hat with pointy ears for said daughter in the East Coast. But I never made the socks. I couldn’t even figure out how to use the double pointed needles. I gave up. I quit. I figured socks are too hard. They’re for intermediate knitters. But now I am ready to take up my needles again! For the bunny! And this time I have a plan for how to make a quick jump straight to intermediate-hood without having to knit all those shapeless, boring scarves of beginner knitting! Take an intermediate level knitting class. 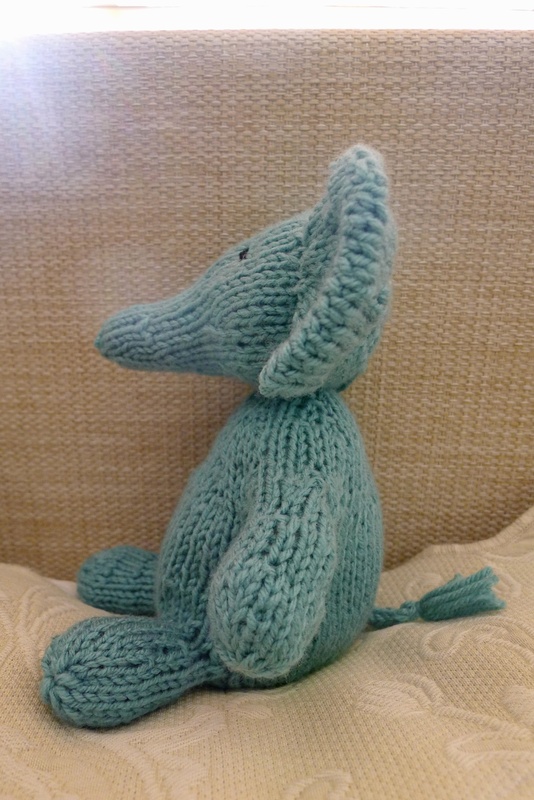 At end of class, you will be an intermediate level knitter! Test yourself by knitting socks. Knit that cuuuuute bunny girl! If you look closely, you can practically visualize the ferocious battle I had with the yarn and needles. There was a struggle. The class didn’t go quite as smoothly as I imagined. It was three days of tension-filled knitting. My hands and fingers were stiff and achy. I spent every free moment of three days watching, knitting, realizing I made a major mistake, unraveling my knitting, watching some more, knitting some more, finding another mistake, unraveling again, knitting again, and so on. Argh! The hole for the arm is in font of the body! Those are double pointed needles. Someone described learning to knit with double pointed needles as “wrestling with an octopus”. That is an accurate description. I never knew knitting could be so draining. 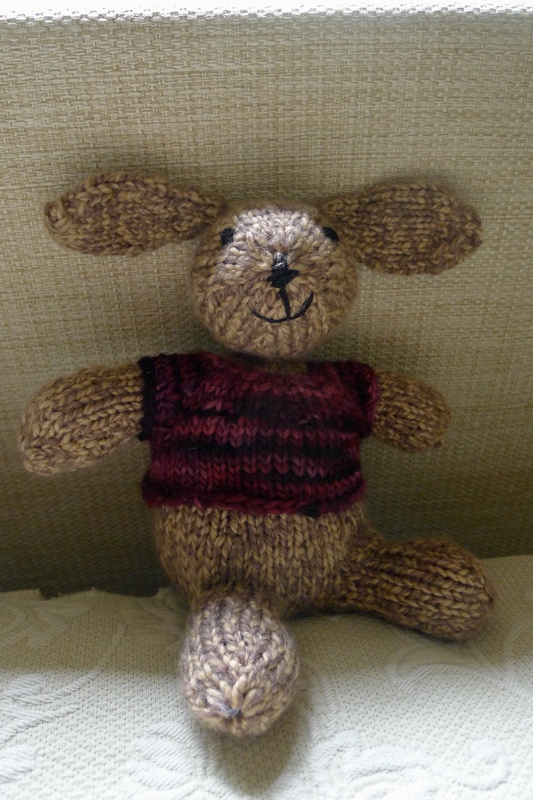 I was physically exhausted from my knitting efforts. 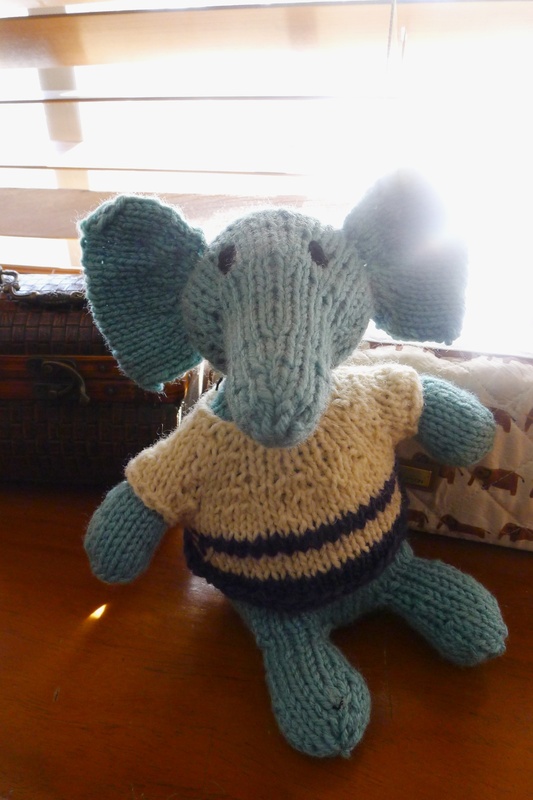 After I finished the elephant, I knit the Wee Ones rabbit which is just like the elephant, but with a different head and tail. What a revelation. It was easy! I didn’t even have to refer to the video. I leveled up! Next was The Sock Test. Can I knit socks? 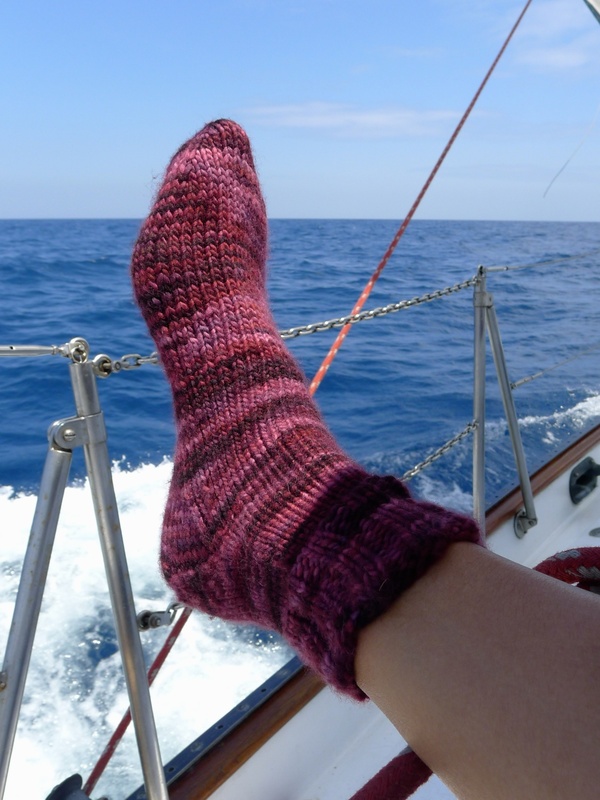 I was able to knit up one and half socks while on a sailing trip! I would have been able to knit more, except that the wind was too strong and the seas were too rough during the first part of the trip. I used the highly rated sock knitting book Getting Started Knitting Socks by Ann Budd. I was able to follow the instructions quite easily! I had a lot of fun making the sock, waves, rocking boat, and all! I finished the 2nd sock at home. 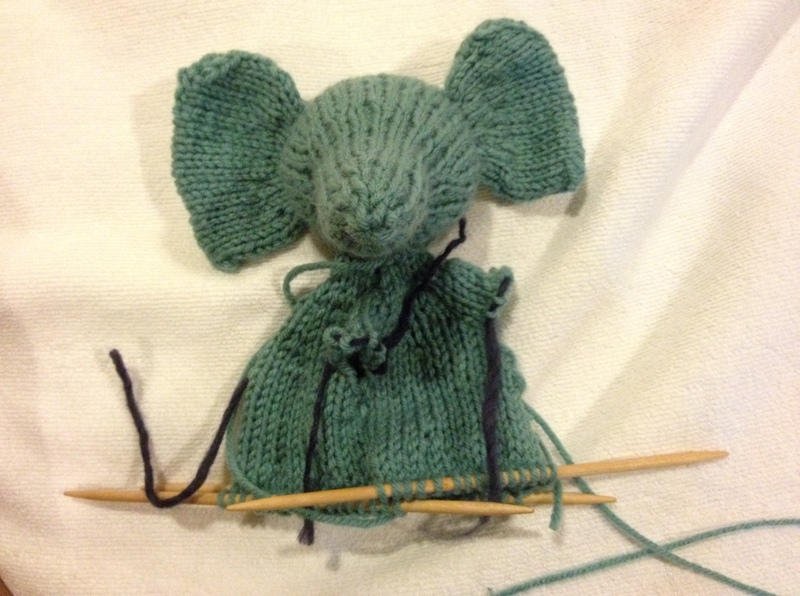 And now one month after knitting the elephant, I’m ready for Step 4 — Knitting the little bunny girl! I linked this post to the Homestead Barn Hop hosted by The Prairie Homestead. LOL! I love the elephant and can’t wait to see you new bunny! Thanks Sandy! The elephant is kinda holey. Haha! I am going to start the bunny today! I looked at the pattern and there’s a lot I STILL don’t know. Will have to do some homework. This knitting!! Haha! 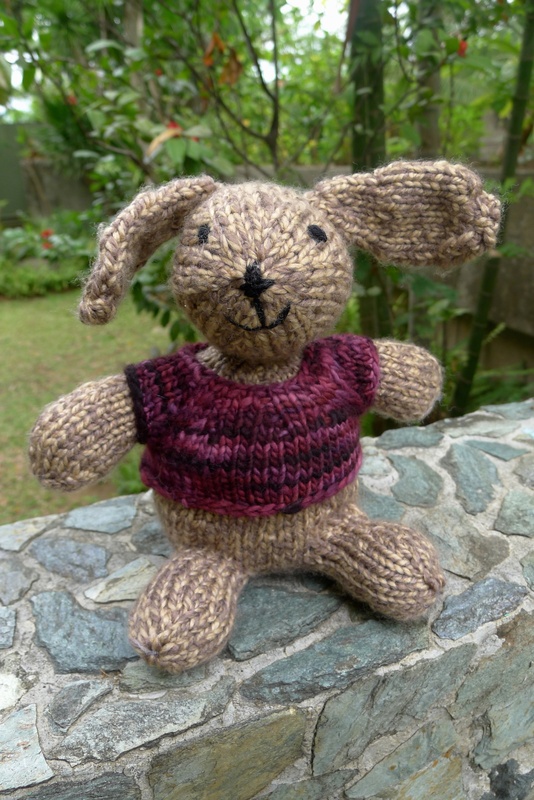 Next Next post: And Here It Is, The Cutest Thing I Ever Knit!